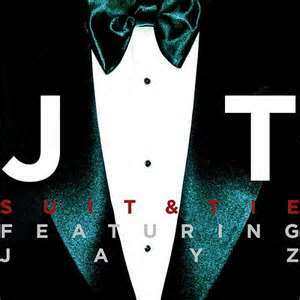 Justin Timberlake’s new single, “Suit and Tie”, which is from his new album 20/20 Experience, is a catchy pop tune that will do extremely well on pop radio, despite his long hiatus since FutureSex/Love Sounds in 2006. His light falsetto range displays his mastery of what makes a good pop song, as he pulls you in and invites you to crank up your stereo, roll the windows down, and share the song with the cars sitting next to you at the stop light. While the intro to the song takes a while to pick up, at the forty-five second mark the song kicks into high gear, bringing in a mixture of electronic sounds and a hip hop influenced drum track that brings color and energy to the track. Justin’s voice is also strong, while being sultry and incredibly soulful. An appearance by Jay Z adds a little something extra to the song, as it all leads back to the influences and sounds of his time with N’Sync and his solo career, which is a healthy dose of R&B, with some Michael Jackson thrown in, all making it an irresistible pop song that will lead to the repeat button on your stereo being permanently stuck. While the song has great musical quality, the lyrics however are shallow, demonstrating a lack of depth, “And as long as I’ve got my suit and tie/ I’m a leave it all on the floor tonight/And you got fixed up to the nines/Let me show you a few things/All pressed up in black and white/And you’re dressed in that dress I like. This seems to be the least of Timberlake’s worries, as the song has proven to be catchy enough to top the Billboard Charts at number 4, which is good news for Timberlake’s music career since he has not released any new material for almost six years. 20/20 Experience will be released in March of 2013.